because we understand the importance of representing your business online. 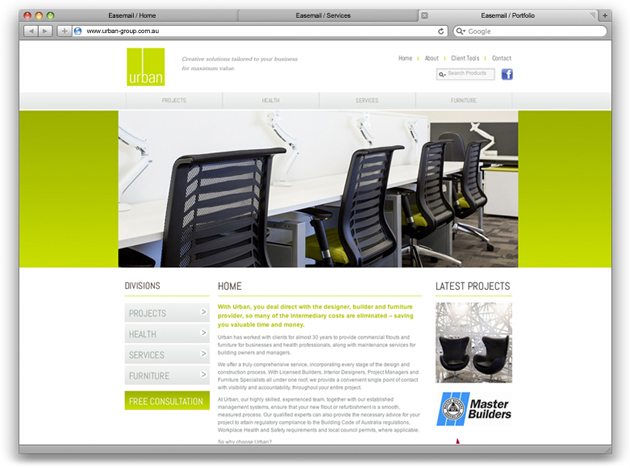 we design and build websites to suit a variety of businesses, needs and goals. technology doesn't wait for anyone, so we constantly innovate and evolve to ensure we're creating effective solutions for your business. 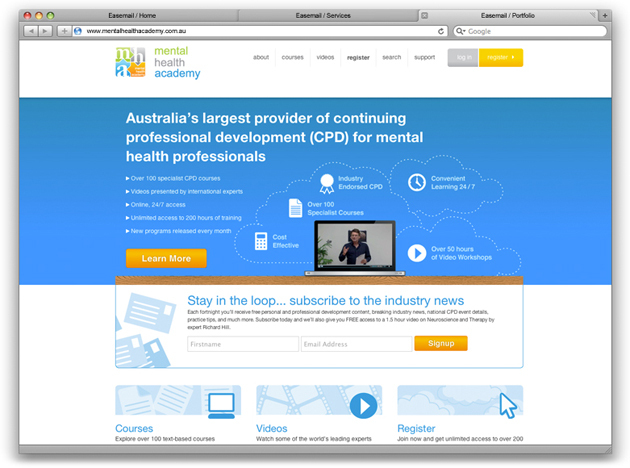 Easemail worked alongside Mental Health Academy (MHA), a global provider of professional development education specifically for the mental health industry to design their logo and website. 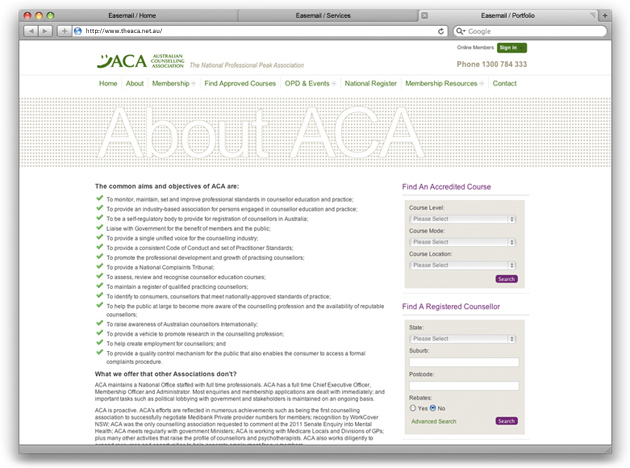 A design was required to present course information in a format that was easy to understand and interact with. We developed a solution which has been effective and praised by industry professionals and the general public alike. 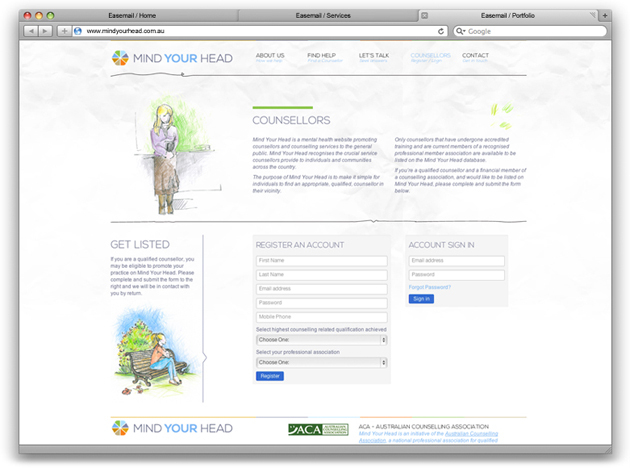 Mind Your Head is a national network of qualified Counsellors. 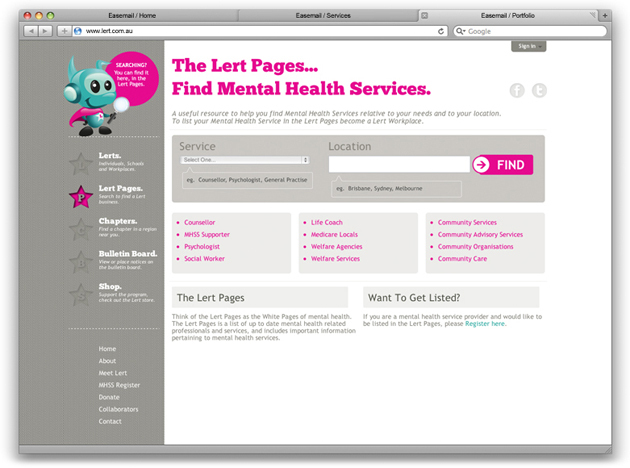 Their website allows users to locate counsellors and provides information on certain feelings they may be experiencing. 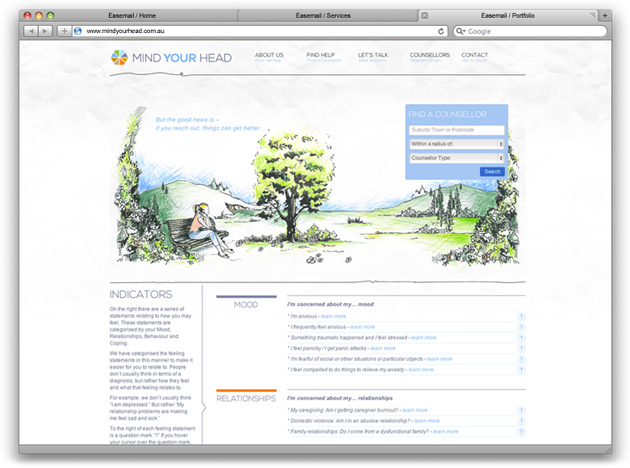 Easemail worked alongside the team to create a design concept which brought light to mental health awareness through illustration and a question/answer style structure of content. The end result was a unique and refreshing design. When photographer Anita Lockland approached Easemail to design her new website for AJL Photography we were excited to create a site that would allow the macro photos to be the main focus. 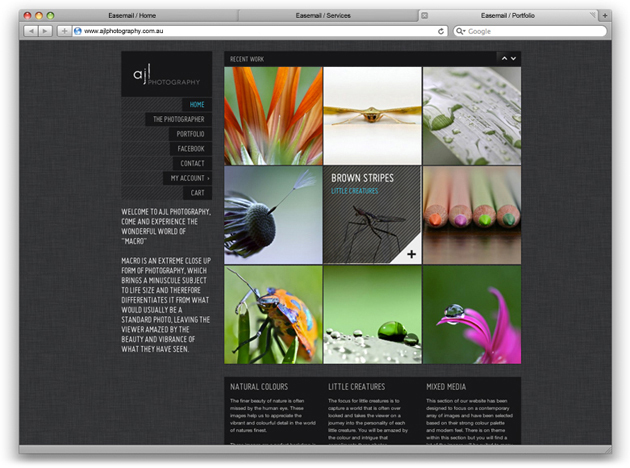 The end result is a clean, crisp site that showcases her vibrant and beautiful imagery in a fun and functional manner. 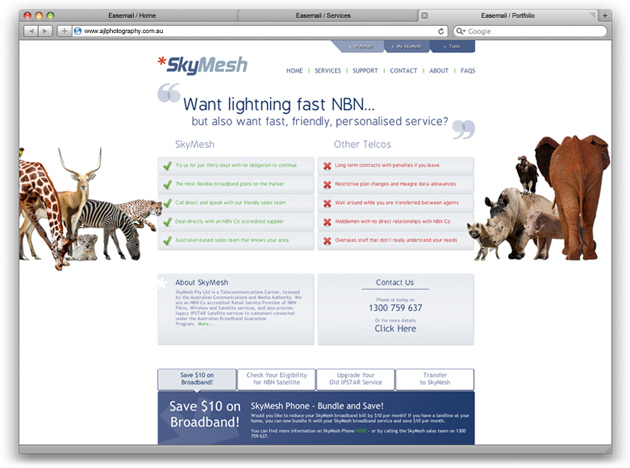 SkyMesh, a Brisbane based telecommunications carrier enlisted the help of Easemail to redesign their website. It needed to be fresh, contemporary and most importantly functional, displaying information in a format that is easily navigated and understood. 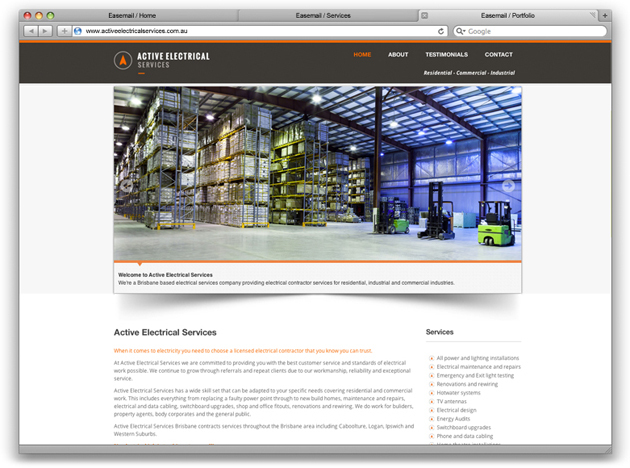 Active Electrical Services is a new Brisbane based electrical company. We were luck enough to work with the team to develop their brand and accompanying website. The result is clean, fresh and professional. 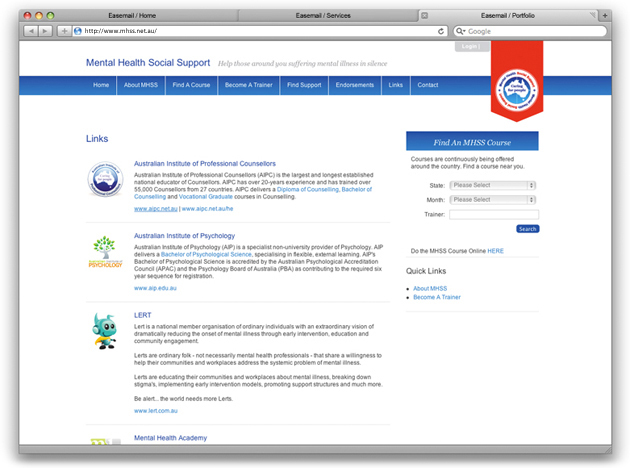 The website provides users with a functional, easy to navigate site that showcases the abilities and services of AES. 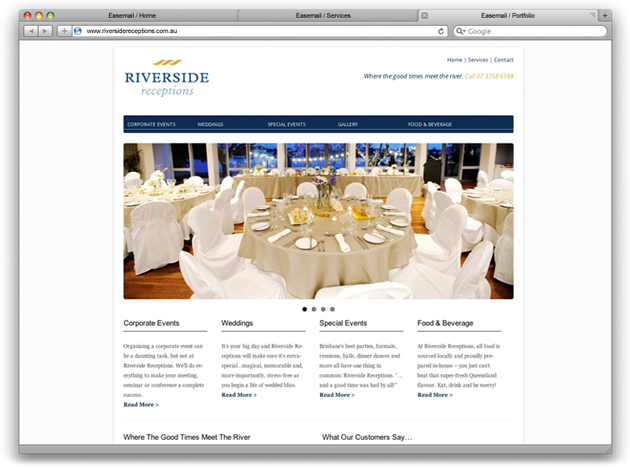 Riverside Receptions is a locally owned and operated function venue located on prime river frontage in Brisbane. They approached Easemail to develop a new brand and website to promote their business and services in a more modern and functional manner. 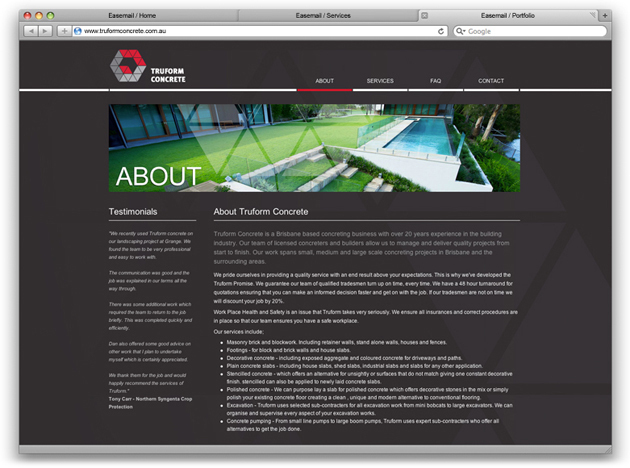 We were approached by Truform Concrete to design and build their website. It needed to provide information on their services and showcase their projects. We worked with the team to create a modern solution that demonstrates their professionalism. 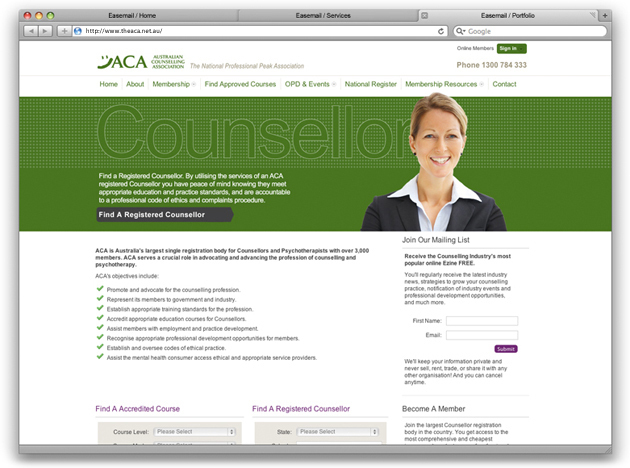 The Australian Counselling Association (ACA) are Australia's largest single registration body for Counsellors and Psychotherapists. 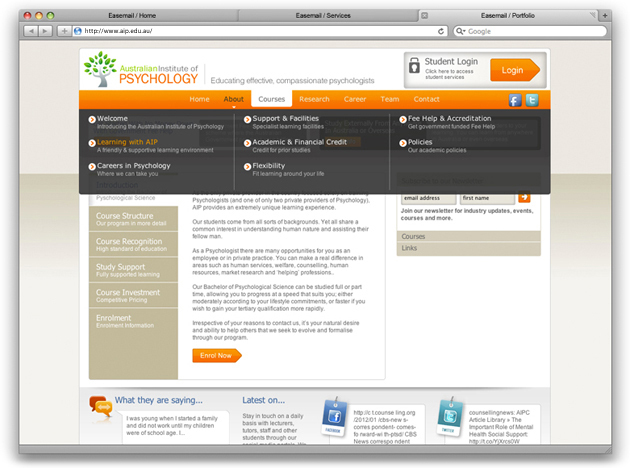 They serve in advocating and advancing the profession of counselling and psychotherapy. 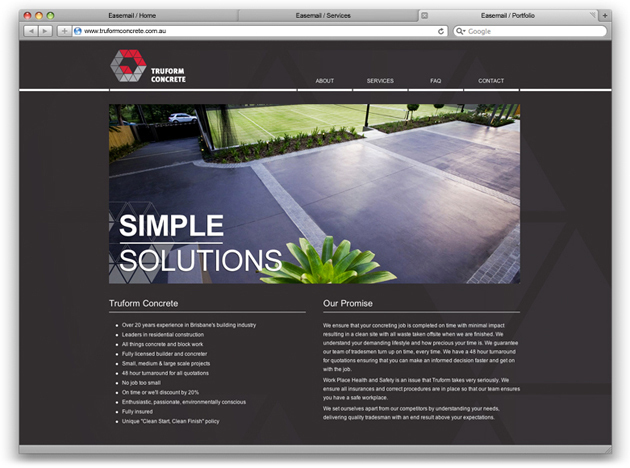 We worked with them to provide a stylish solution to modernise their existing site. 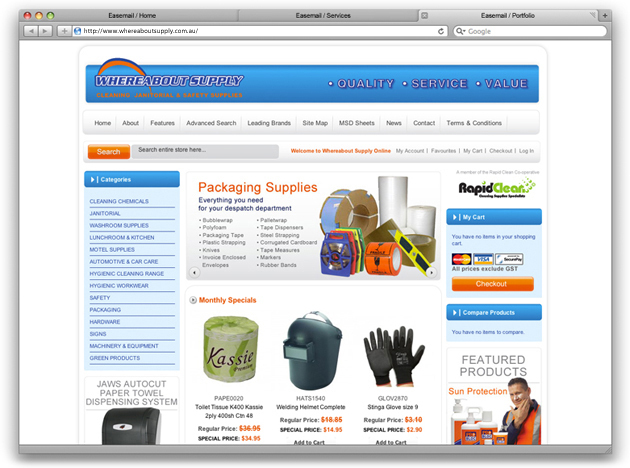 The result is a fresh, clean and functional site which is enjoyable to use and navigate. 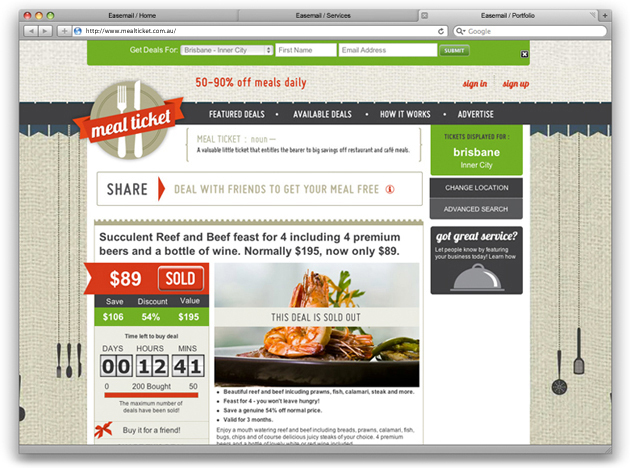 Meal Ticket is a new group buying website dedicated to the hospitality industry. 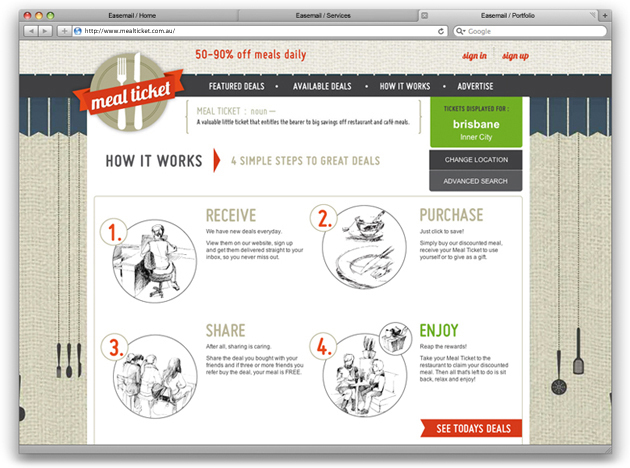 They focus on promoting restaurants and getting the paying customer through the door. They wanted a fun, friendly and contemporary design for their website. It had to be easily navigated, simple to use, informative and make the deals look irresistible. 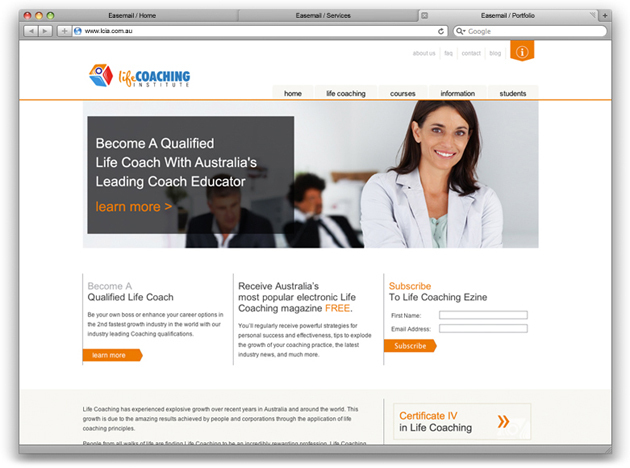 We enjoyed working with the team to over come challenges and create a fun and functional site. An established supplier of a broad range of cleaning, janitorial, packaging and safety products Whereabout Supply sell quality products that are used in most workplace environments. 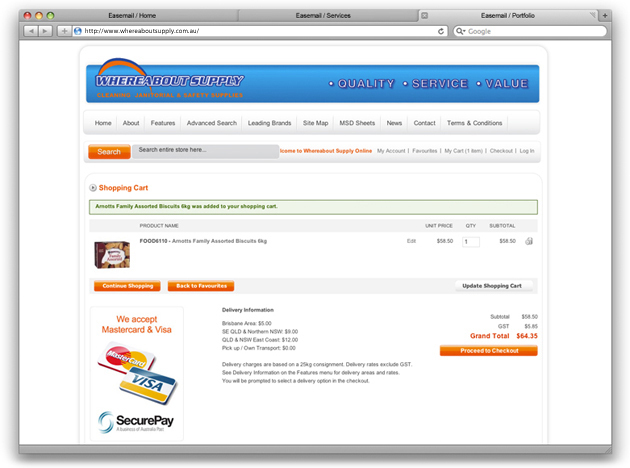 We assisted them by redesigning their 'shopping cart' style ecommerce website. The redesigned website has been accompanied by numerous email campaigns and they have seen significant boots in their sales as a result. 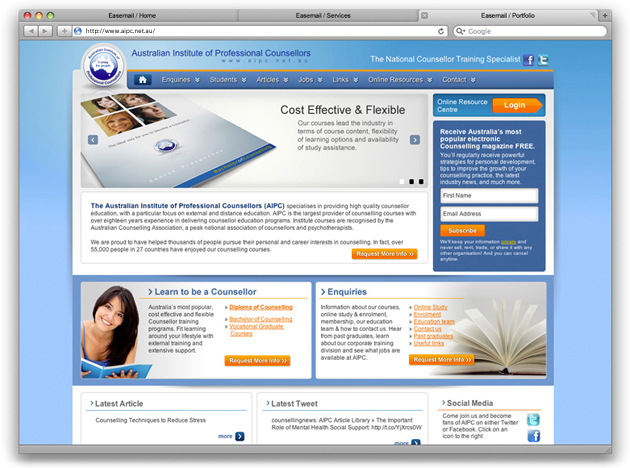 The Australian Institute of Professional Counsellors (AIPC) is Australia's largest vocational training company in the field of counselling. 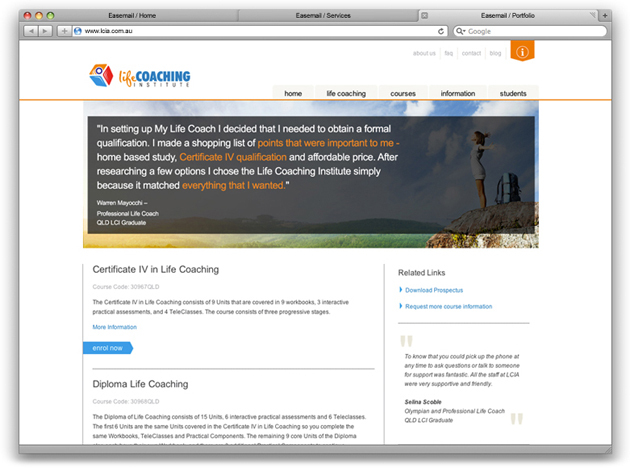 We designed a fresh new look and feel for their site which was conservative and congruent with their demographic. With over 50,000 students it was imperative that we designed an integrated online training module to include a national eLearning platform, interactive knowledge base for student support and real time chat and communication systems. 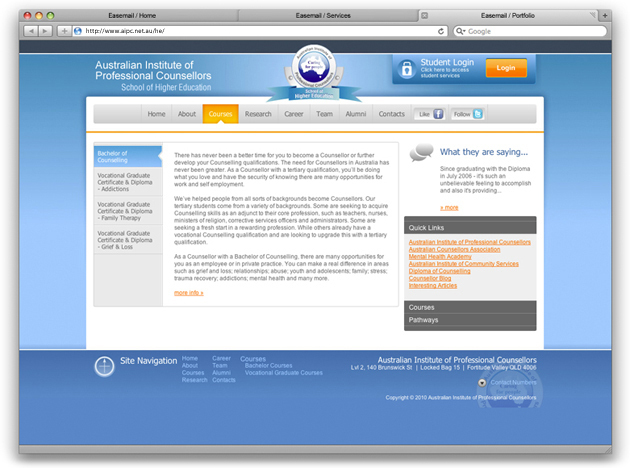 Australian Institute of Psychology (AIP) is a specialist non-university provider of Psychology courses offering internal and external study options. They required a website that was easily navigated and capable of supporting external and internal student study and support requirements through a student portal. The final product acts as a useful resource with a fresh and modern appeal. 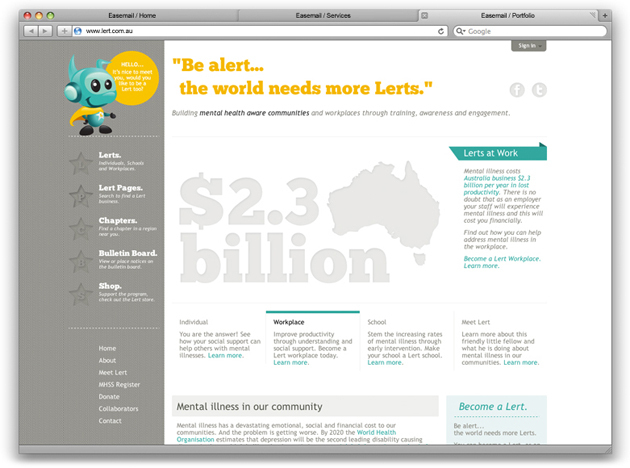 Lert is a national organisation of everyday members that are collectively interested in supporting communities, helping them to understand and overcome serious mental illness issues. 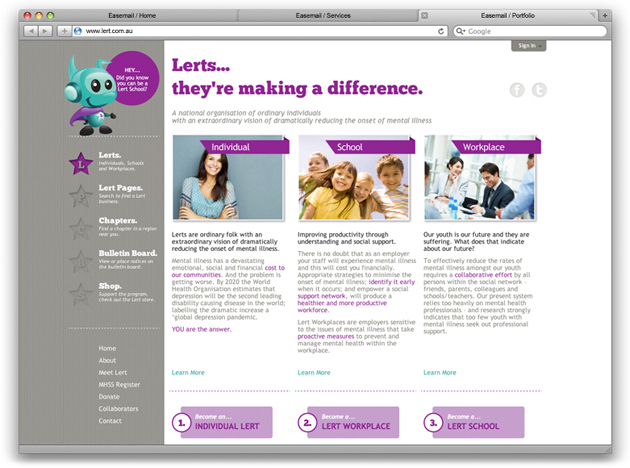 We worked alongside the Lert team to develop a brand which had personality and impact. The Lert brandmark and 'Lert' character was created with supporting elements - website, promotional brochure, stationery and merchandise. The fun, friendly and interactive brand is reflected across all mediums whilst ensuring the information is well presented and easy to understand. 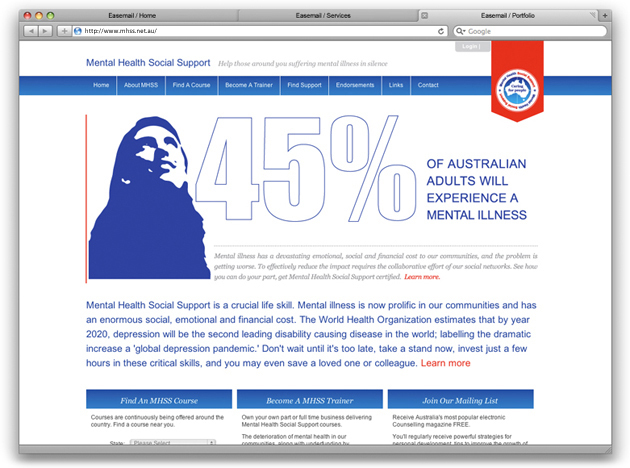 We teamed up with Mental Health Social Support (MHSS), a training program developed by AIPC to design their branding, website, stationery, student workbooks and a variety of marketing collateral. We developed a fresh, modern and striking brand which could be transferred across all online and printed mediums. Pro Painting Solutions is a Brisbane based painting company offering quality painting solutions and consultative services within South East Queensland. 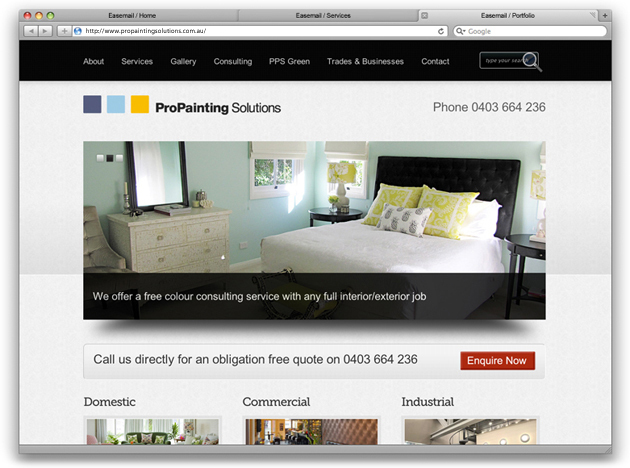 A new website was designed to give Pro Painting Solutions an online presence and showcase their range of work. We utilised their existing branding which was clean and modern, and gave it some additional life online by utilising many different colour palettes across the site. The overall look is confident, sharp and a strong representation of the quality of workmanship. We worked with Ascot Plumbing's existing brand to develop a website that would position them appropriately in the market as a trusted local plumbing business with extensive industry experience. 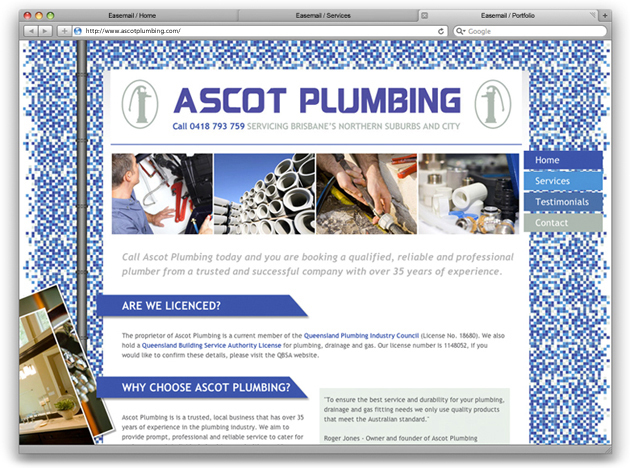 We worked with Ascot Plumbing to design a website that promoted their services and skills in a manner which was professional and engaging. 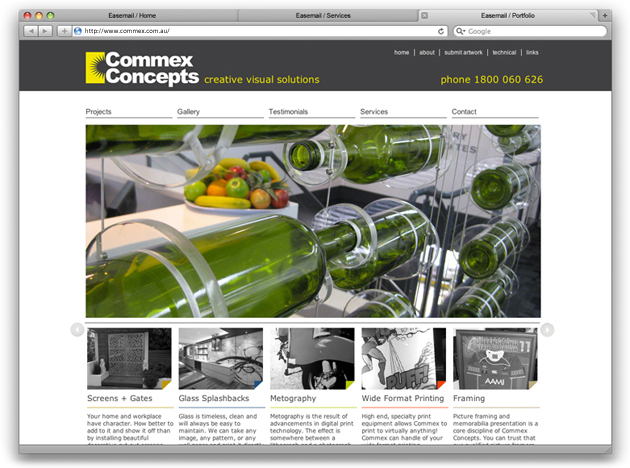 Commex Concepts is a creative presentation specialist business offering a range of presentation services including glass splash backs, metography, wide format printing, framing and more. 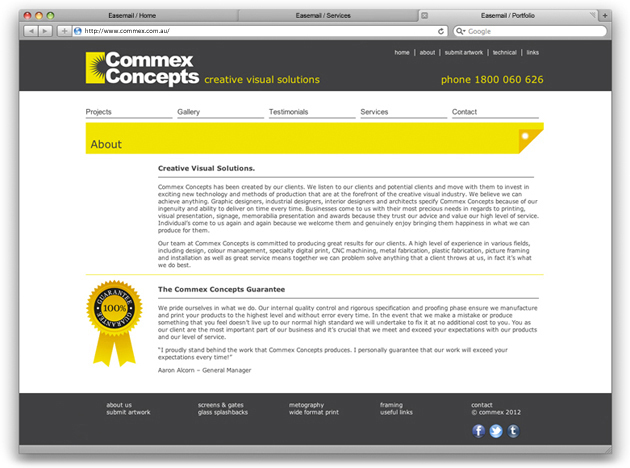 Commex required a new website to consolidate their many services in one easy to use location. Their business products and services needed to be clearly defined and positioned within the market to communicate the possibilities to their audience. 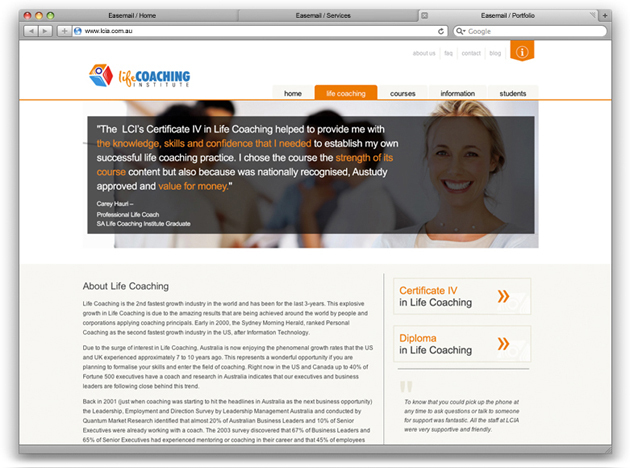 The Life Coaching Institute required a website that was evocative and sophisticated. It needed to be capable of delivering various course work materials direct to the student, provide prompt communication and networking channels between staff and students and offer online support options. 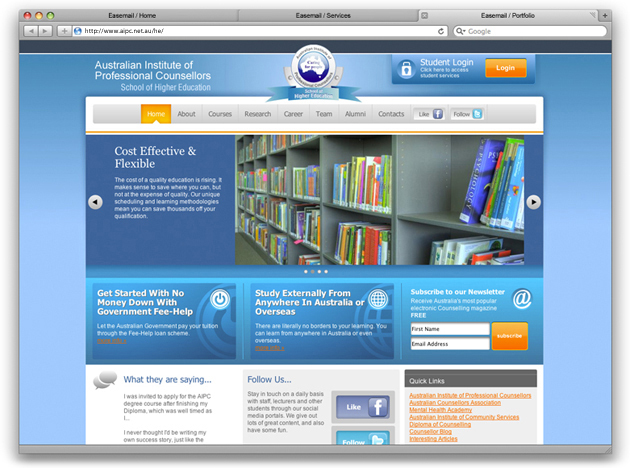 Easemail worked with LCI Academic Staff to facilitate a modern and functional website from initial design concepts through to a fully functioning student backend administration system.